Let’s begin… First of all what it is exactly? 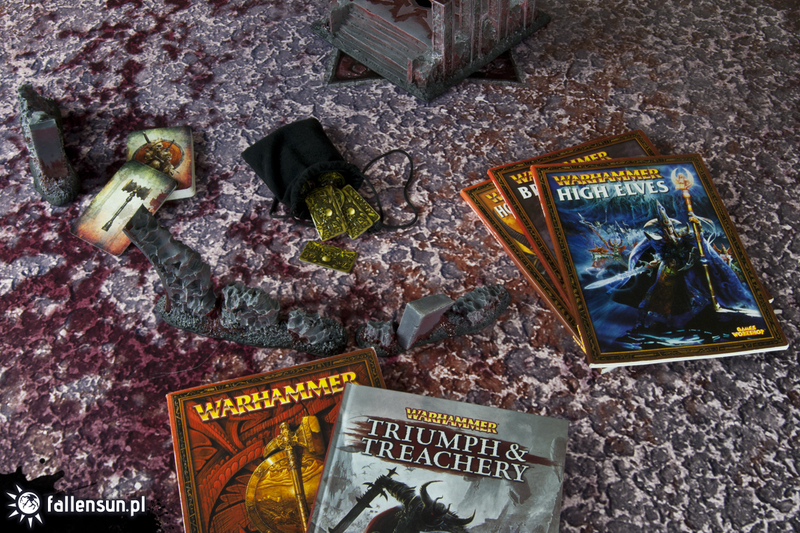 Triumph and Treachery is nothing more than Warhammer Fantasy Battles with the Free For All option for 3 to 5 players. The first thing that seems controversial or odd is that everyone plays against one another. You should remember that during this type of game you do not focus on the constructing the strongest roster among all players but on spending funny and nice time with your friends. The supplement itself is relatively new. 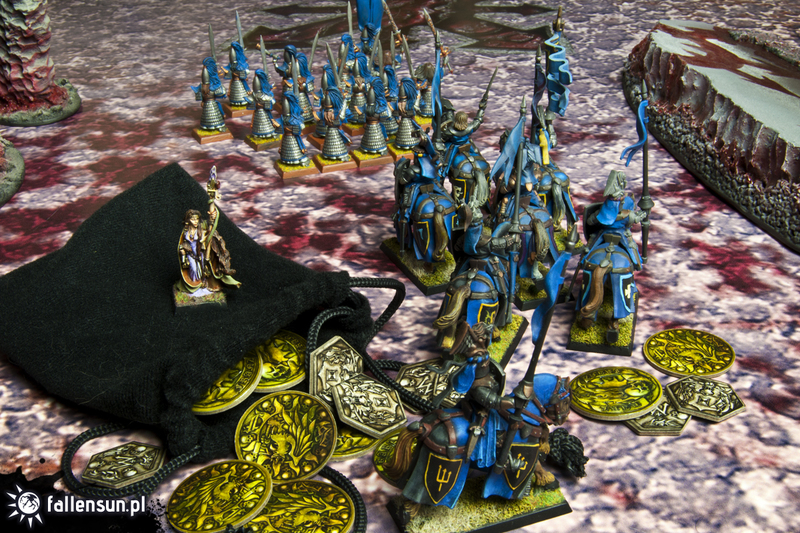 It was introduced during the time of 8th edition but the rules are flexible enough to play a game using previous editions. 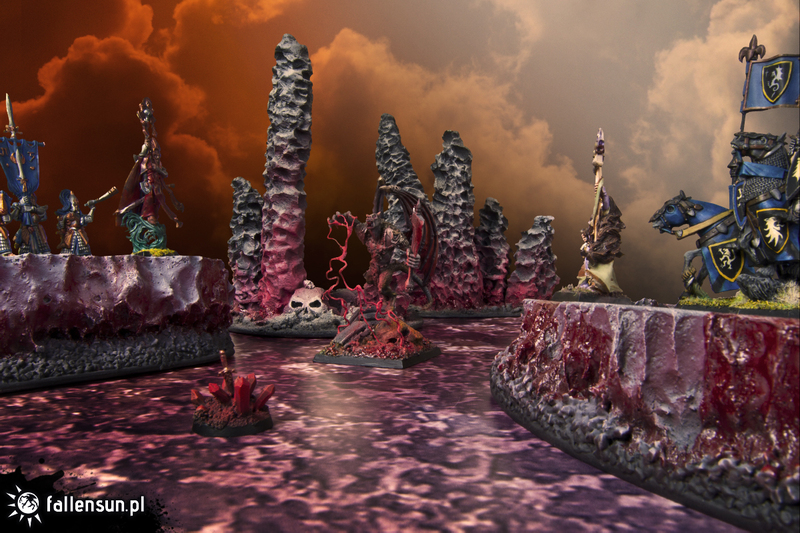 Basically it has minor problems that can be easily modified so that it can be used on 6th edition game. We had to take only two cards out of the deck and everything worked out perfectly. Who does not like gold ...? Money give you power and victory over your current enemy. Two unique things that come up with this supplement is: gold and a deck of cards used for bribing someone (not only your opponent but also players who are neutral). The winner of the whole game is the person who earns the most gold. 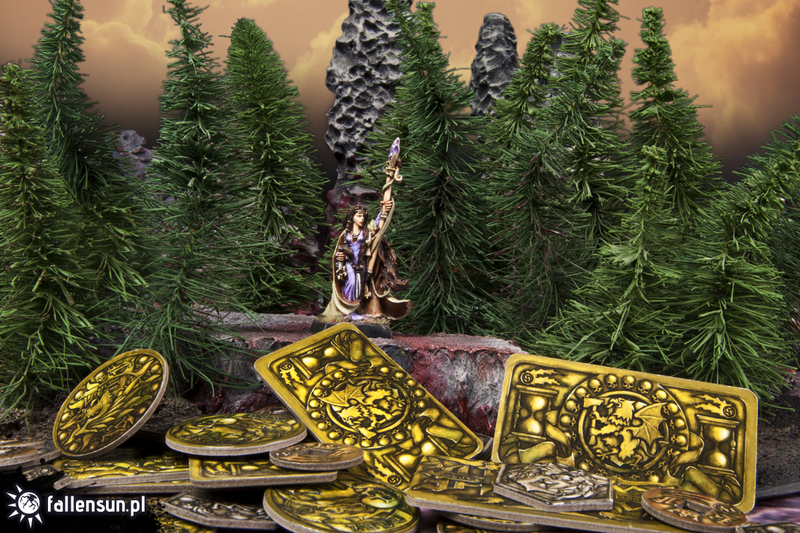 We gain gold mostly for completely destroyed units during the fight and effects resulting from several available scenarios. The deck of deception cards, as we might call them, is a very interesting element that allows us to gently modify the situation on the battlefield. We can perform one additional turn of shooting or do the opposite thing nullify the shoot of one player for one turn. Let’s imagine that before the fight someone has sneaked inside our camp and made sabotage or prepared wolf holes that reduced the range of the charge. 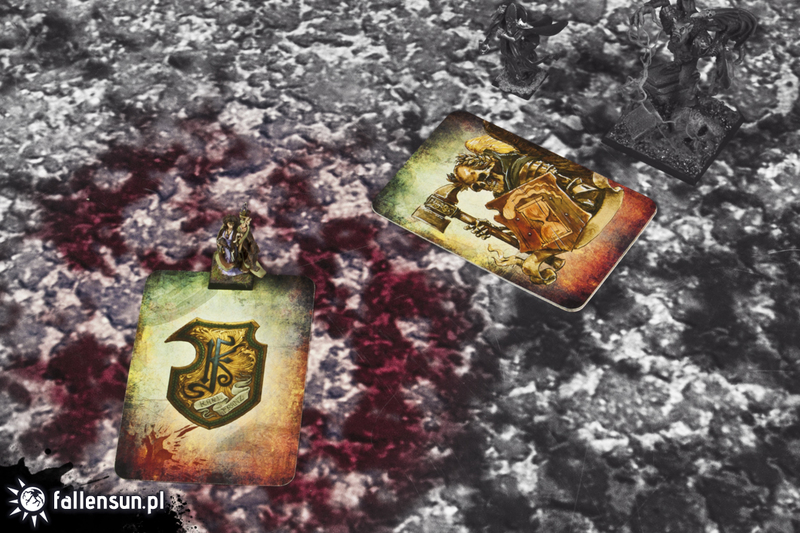 During the battle participants can exchange cards with each other or try to bribe players by promising them help in the next round. It is not obligatory to fulfill these promises – you are free to break them anytime you want and keep the gold for yourself. How does it look like from the technical side? From the regular fight Triumph and Treachery differs in two elements: the randomly selected turns is one thing and the ability to choose only one opponent for the each turn’s phase is the second. Each of the participants in the battle draws a card, which symbolizes his order during this turn. After shuffling the cards one participant draws the first person who will perform its turn. At the end, the card is put off and somebody draws the next player. It may happen that one of the players will go last, and then she or he will be the first person to perform all phases twice in a row. We can never foresee it so it is only based on luck. The second change is that during the each phase: movement, magic, shooting and fighting, only one opponent can be our enemy (but each phase we can choose different person) - the rest of participants for this short time is considered to be neutral and treated as an unstoppable area on the battlefield. We can only declare charges against person who has been chosen as our enemy in this phase. The same pattern comes into force during the following phases of our turn so we must cast spells on our current chosen enemy who can dispel them using dices from his dispel pool. It is the same when we want to shoot using some ranged weapons. In the fight we always have to choose between the opponents we are currently fighting - the fight against the unpicked opponent is separated. The casualties assigned to a neutral player which can be the effect of some random thing like hits from templates are automatically eliminated. 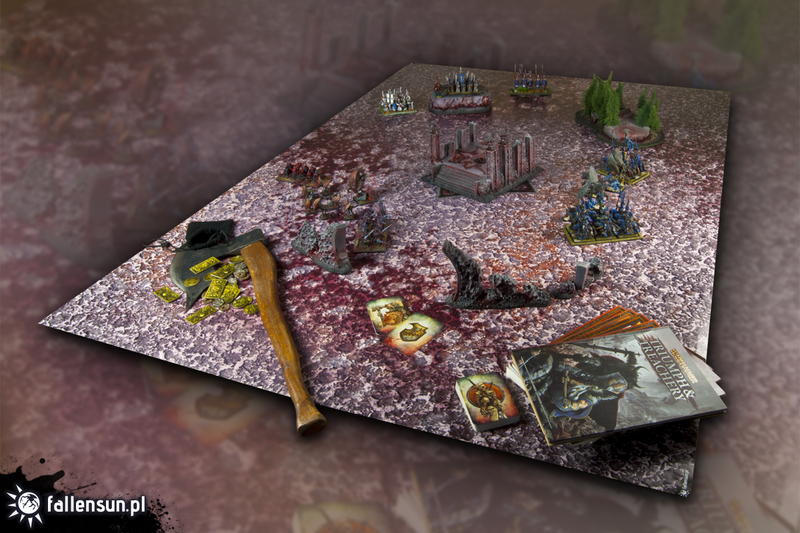 We played many times on this add, from experience I know that many people were not pleased to hear the Free for All typed game in Warhammer Fantasy Battle (and I have prepared for such fellows the Tzeentch Axe). Of course I am joking but so far no one come out unhappy after this game..
See the Hall of Fame section to look at the winners of this event.